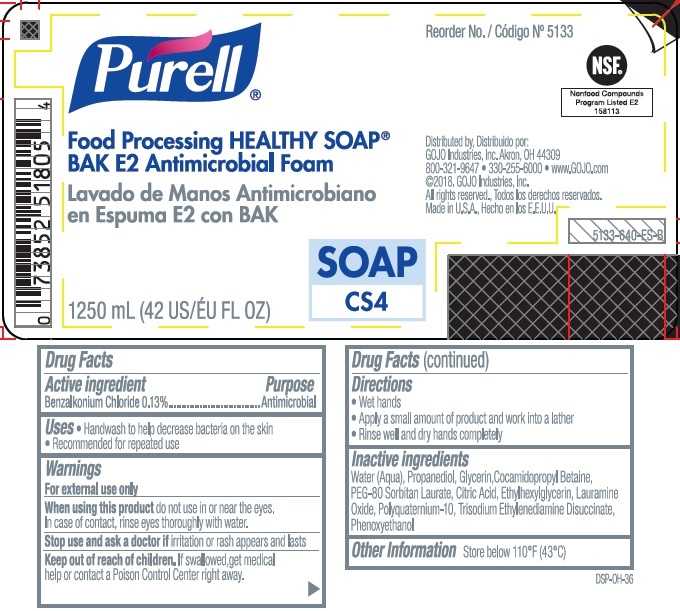 Proprietary Name: Purell Food Processing Healthy Soa P Bak E2 Antimicrobial Foam Soa P What is the Proprietary Name? 21749 - Gojo Industries, Inc.
Purell Food Processing Healthy Soa P Bak E2 Antimicrobial Foam Soa P with NDC 21749-111 is a a human over the counter drug product labeled by Gojo Industries, Inc.. The generic name of Purell Food Processing Healthy Soa P Bak E2 Antimicrobial Foam Soa P is benzalkonium chloride. The product's dosage form is liquid and is administered via topical form. Labeler Name: Gojo Industries, Inc.